Thanks to Dennis O’Brien, ARS Office of Communications, for this article. It was published in the October 2016 issue of AgResearch Magazine. 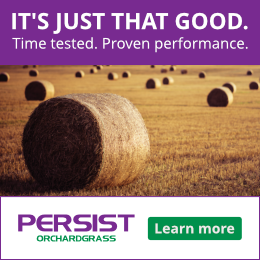 It focuses on results for forage grasses in the Southeast, but could give you some ideas about questions you could ask about your fertilizer use. Producers growing forage grass for cattle in the southeastern United States face a crucial question: How much fertilizer to use? Many forage grasses grow best with help from nitrogen, phosphorus, and potassium fertilizers. But the right recipe is elusive because increasing one nutrient can reduce the impact of the others. The same fertilizer can affect different forage grasses in different ways, such as growth rate, yield, and nutritional quality. Sometimes producers apply more fertilizer than needed, wasting money and causing excessive runoff, which could harm the environment. Here’s Bill Anderson measuring elephant grass as part of another project he’s working on. An Agricultural Research Service (ARS) plant geneticist in Tifton, Georgia, has developed recommendations for fertilizing forage grass in the Southeast. 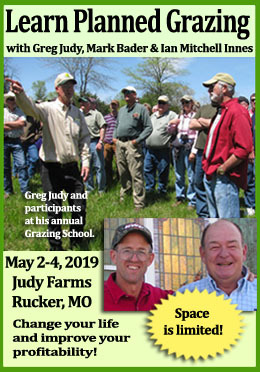 He accomplished this by applying all three nutrients at different rates and studying the effects on a forage grass widely grown in the region. “Fertilizer costs in forage production are one of the most significant expenses facing beef and dairy producers, and being able to keep those costs down is extremely important,” says William F. Anderson in the ARS Crop Genetics and Breeding Research Unit. Common bermudagrass (photos on left) produces lower yields and quality than Tifton-85 (photos on right), an improved hybrid bermudagrass. Tifton 85 grows on millions of acres, from Texas to the Carolinas and south to Florida. Beef cattle gain healthy amounts of weight on it, and dairy cattle produce more milk on it. 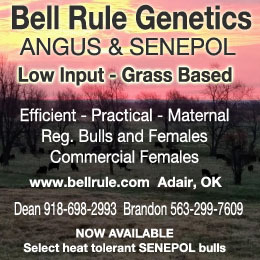 Producers typically allow cattle to graze it, or it may be cut four to five times during the summer to use or sell as hay. Yet, current fertilizer recommendations for Tifton 85 are based on outdated studies that focused on other types of bermudagrass. In the study, the researchers fertilized Tifton 85 using six different nitrogen application rates and three different rates for phosphorus and potassium. They used fields with two soil types common in the Southeast, kept track of rainfall amounts, and evaluated hay yields and nutritional value (crude protein levels) under each application rate. They also tracked fuel and fertilizer costs and market prices for the hay and calculated application rates most likely to return the highest profits. The results showed that a 4-1-5 ratio of nitrogen-phosphorus-potassium works best for growers interested in maximizing profits, assuming typical rainfall patterns. In other words, for every 4 parts of nitrogen applied, growers should apply 1 part phosphorus and 5 parts potassium. The researchers also found that the optimal rate for applying nitrogen fertilizer was about 300 to 400 pounds per acre, the mid-to-low range of the application rates evaluated. At that rate, a field will produce about 8 to 10 tons of hay per acre, assuming typical rainfall. Applying fertilizer at higher rates will produce hay with more protein and fiber, but that would reduce profits. The study results were published in May 2016 in Agronomy Journal. The photo of grazing cattle in a story on forage fertilization runs the risk of conflating pasture with hay. Since hay is removed to feed elsewhere, large amounts of nutrients need to be replaced. The same is NOT true for grazed pasture where the forage is consumed in place and the cattle recycle most of the nutrients in the plants.